The group Block B Bastarz (P.O., U-Kwon, B-Bomb) has showed of their chic charisma. Block B Bastarz has released the individual teaser image of the member B-Bomb through their official SNS Channel on the 21st afternoon. 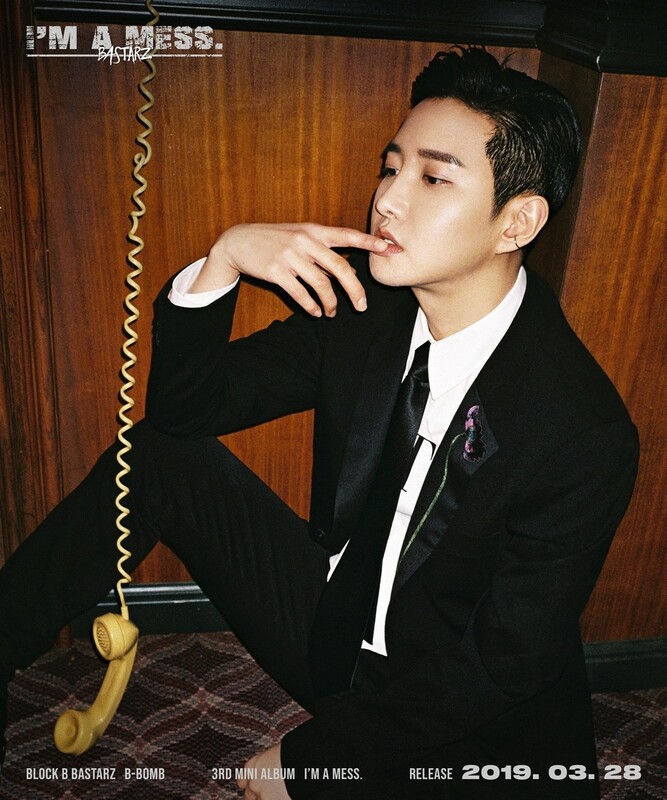 In the released teaser image, B-Bomb has attracted the attention with the sensual styling with natural pose like a model in black suit. The 3rd mini album ‘I’m a mess.’ of the Block B Bastarz contains total of 8 tracks including the solo tracks of each member. The members participated in the lyrics and composition as well as in production of the M/V and added the perfection of the album. Also, they will be first releasing the new song on the stage of their concert ‘WELCOME 2 BASTARZ’ which will be held this coming 29th and 30th. The soundtracks of the Block B Bastarz will be available through various soundtrack sites at 6 o’clock on the 28th afternoon, and the album will be released on April 4th.